The National League is no joke this year. One would be forgiven if in making preseason predictions, you didn’t give more than a minute’s thought to the eventual division winners. The East, Central and West had the same three victors the last two seasons: the Nats (winners of four of the last six NL East titles), the Cubs (who even won 97 games as a wild card in 2015) and the Dodgers (winners of the last five NL West titles). 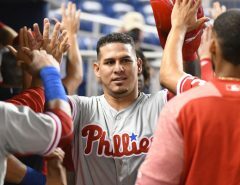 All three rosters looked formidable enough to take their respective divisions again this year, even as other NL teams like the Phillies, Brewers and Giants made drastic moves to improve. As I write this on June 27, not one of the trio of previous winners sits in first place. The Cubs are just two games out, but they’re in for quite the fight with a talented Brew Crew and a Cardinals club that’s always in contention. The Dodgers have recovered from an early season swoon to revive their chances, now sitting just 2.5 games back of the Diamondbacks, but the Giants are just 4.5 games off the pace themselves. And the Nationals….are in the worst state of the three, but still just 3.5 games behind the shockingly successful Braves and a half-game back of the improved Fightin’ Phils. 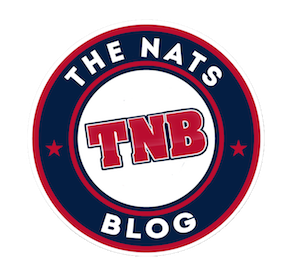 To put it simply: there’s no fricking way the Nats are coasting into the postseason this year as they have in all four of their previous appearances. The division is decidedly not a cakewalk featuring four also-rans and the Nats mowing through the competition. Atlanta’s performance thus far is surprising, but not fluky, as their run differential matches up with their solid record. The Phillies are not crushing the world, but they’re not going away, either, sporting the best roster they’ve had since the halcyon days of Howard, Utley, Rollins and Werth. Then there’s the wild card race. As you may have noticed, there are a lot of teams above .500 and contemplating postseason probabilities as the trade deadline approaches. 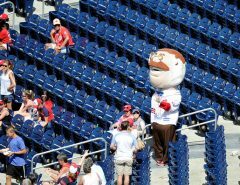 Sliding out of the NL East race is not a healthy option for the Nats. Either the Cubs or Brewers could easily snag one of the wild card spots, leaving one entry for a giant jumble that could include several of the following teams: the Nats, Phillies, Braves, Diamondbacks, Dodgers and Giants. As much as I would like to dream of the Nats sneaking in as the second wild card, winning that elimination game and then tearing through the NL playoffs, you’d much rather start with a best-of-five than a best-of-one, Nationals history be damned. It’s not early anymore. We’re halfway through the season. I heard the choruses of “We’re not worried!” and “There’s plenty of season left!” in 2013 and 2015. Then the Nats proceeded to fall flat on their face at crucial moments down the stretch. A sense of urgency needs to be established. 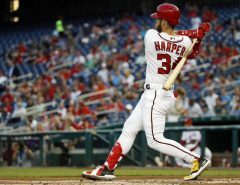 We all realize that baseball is not nearly as simple as other team sports, when a locker room tirade or a couple nights of strong, sustained team play can light a flame and send a team on a run (hello, Washington Capitals). Baseball teams need multiple cylinders firing at once, numerous individuals performing at their peak simultaneously and some luck to ride into the postseason. The Nats currently feature a stagnant offense, a starting rotation battling injuries and poor recent performances from Gio Gonzalez and Tanner Roark and a bullpen that struggles to find consistency. All of those elements locking in at once is hard to envision right now. However, there is still plenty of room for optimism. Head over to FanGraphs and you’ll find their Playoff Odds metric still puts the Nats’ postseason chances at 83.4%, with a 72.9% chance of winning the division (again, this is as of June 27). Obviously, those odds are heavily leaning on past performances of the Nats’ roster, but for good reason (see: four division titles in the last six seasons). 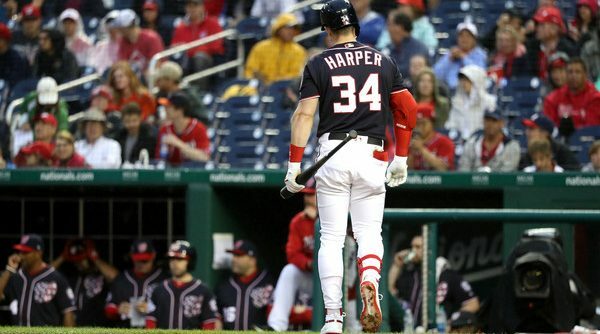 Bryce Harper could catch fire at a moment’s notice. The returns of Stephen Strasburg and Jeremy Hellickson could provide much-needed stability to the rotation (imagine including that second guy in that sentence three months ago). Plus, the recent addition of Kelvin Herrera, perfectly summarized by our Erik Payne earlier this week, could shore up the bullpen and provide the backbone the team needs in the late innings. But the time for fooling around and not looking at the standings is over. The squad needs to start piling up some Curly Ws, especially against their toughest divisional competition, starting with a crucial series against the Phillies this weekend. And perhaps this intense battle to the finish can be just the spark this club needs to finally make a deep postseason run. Fingers crossed. So, settle in for something we Nats fans have never really had the pleasure of witnessing: a pennant race.